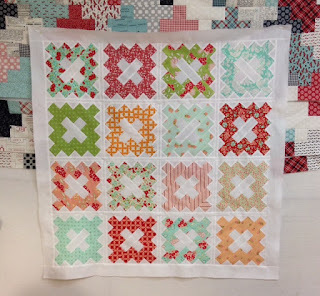 Quilting Adventures: Are you Frivoling...? Cute cute cute... this one is calling my name! Have a great weekend! Wow! What a beautiful top! Thank you so much for sharing! I really enjoyed the post! You have to admit -- those Moda people are marketing gurus! Your little quilt top is so cute. I decided I can't get frivols -- I need to get rid of some of the tins that I have already -- my stuff is taking over. I'll live vicariously through YOU!